In my growing-up years, our elementary school classrooms each included a two-shelf “library,” and, during the first ten weeks of every school year, I would work my way through all the library books. Then I would read through to the end of my reading book, and then my social studies book. After that, I would sit at my desk during rainy recesses and be bored. Until I “took up” drawing. In the third grade, I was fascinated with Disney characters, and I drew my way from Snow White to Cinderella, Mickey and Minnie and on to Dumbo, and all the rest. I kept my drawings in a notebook in my desk, a “family” that I belonged to during my school days. As I became more adept at drawing, I noticed an odd phenomenon. When I completed a drawing, I was delighted with it. It looked perfect to my eyes, but the next day, when I took it out, I would notice that somehow overnight in my desk, that drawing had become far less than perfect, and usually the whole thing had a persistent slant one way or the other. One of my imperfect drawings! Ilagix is an Aleut word that means peace in the sense of friendship. Now as an adult and a novelist, whatever gets “put away” as a perfect scene is never perfect the next day and even becomes worse the next week or the next month. When I’m up-close to my work, I just don’t see the imperfections. I need a little distance. I handle that need in two ways. First, I let my writing “rest. ” Unfortunately, with deadlines clamoring, that rest period is usually limited to a couple of weeks, a month at most. That’s why my second solution to this problem is so important. I have readers. In the writing world, these readers are called Beta Readers. These folks are friends who aren’t afraid to tell me about the book’s imperfections. They don’t mind sharing their ideas, and they don’t get their feelings hurt if I choose not to implement their suggestions. My readers fall into two categories. Some read scenes only, and they read for specific knowledge areas. My father, for example, has degrees in soil sciences and agriculture. He reads my “plant and soil” sections. My husband reads action scenes. Other friends read for animal husbandry and others for topography. Some read the hunting scenes, and others concentrate on the details of my setting. My second group of readers read the whole manuscript. When my mother was able to edit, she read my manuscripts for typos and grammar. Her gift was languages, and she was particularly good at catching the problems in the writing itself. I have one reader who is an expert at personality disorders, and several who bring the younger-generation focus to the manuscript. With my current manuscript, I also plan to hire a professional editor. His specialty is reading for flow, market appeal, and vision, but I won’t send him my manuscript until I’ve made the corrections and changes suggested by my Beta Readers. When I’ve received their suggestions, I do one huge marathon session that lasts about a week, maybe two, and write in their corrections. That’s it for Fourth Draft. If you guess that it ranks right up there as one of my favorites, you’re right! And I marvel at the ideas and the wisdom of those people so willing to help me for nothing but my gratitude and a paltry mention in the Writer’s Acknowledgements. How do you feel about letting others read your work? Nervous, anxious to share, shy, reluctant? 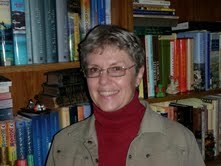 Bestselling author, Sue Harrison, has written two bestselling Alaska trilogies: The Ivory Carver Trilogy and The Storyteller Trilogy – all of which went digital in May 2013. She also wrote a middle readers’ book SISU. Prior to the publication of her novels, Harrison was employed at Lake Superior State University as a writer and acting director of the Public Relations Department and as an adjunct instructor in creative writing and advanced creative writing. For more information, click here. To inquire about booking Sue for workshops or speaking engagements this year, click here. Thanks for joining us! Please feel free to leave your questions and comments. We invite you to come back June 25, 2015, for part 29. This entry was posted in Preambles to Writing, Writing and tagged bestselling author, Beta readers, revisions, Sue Harrison, writers, writers workshop, Writing, writing fourth draft, writing novels, Writing the Third Dimension, writing workshop. Bookmark the permalink. I love my beta readers and my critique group. They find things that I completely miss. It is good to have a few, as different readers find different things. I agree, we get too close to our work and miss some obvious errors. I am only too happy to share my work and get honest feedback. When I go back to the manuscript and make the suggested changes (the ones I use) I am always so pleased with how much better it reads. I’m always amazed at what I miss in my writing, Darlene, and so grateful to those folks who are willing to read for me. Some of them don’t even really like my genre, but kind hearts go a long way! !